Here we have a stunning Heuer Bundeswehr 1550 SG flyback chronograph. 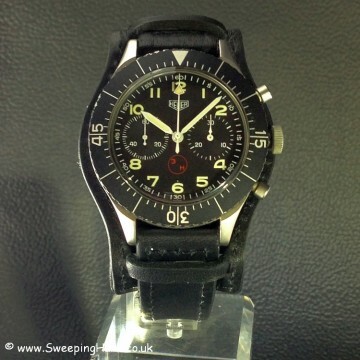 This watch comes with an original issued small Heur logo dial with the 3H logo and T symbol on the face. 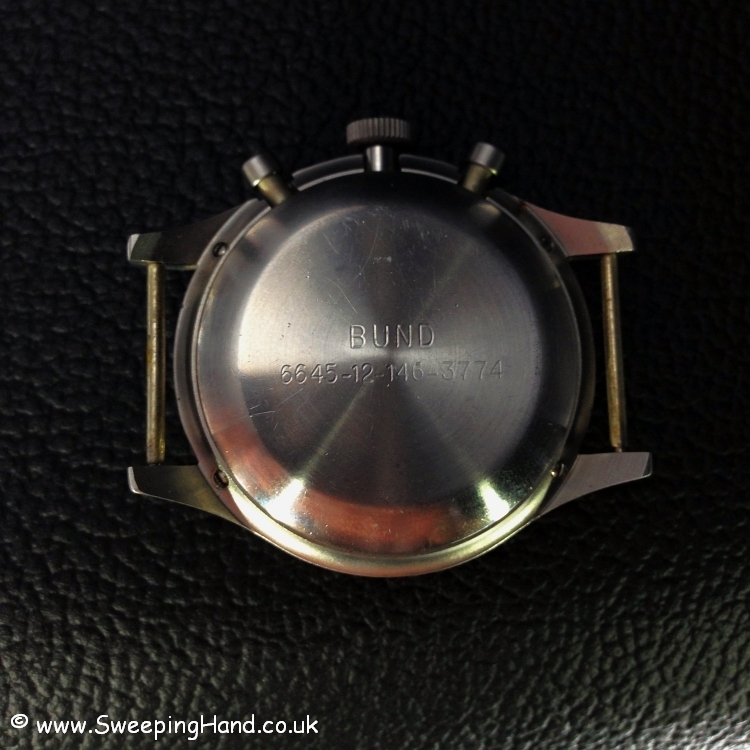 The case is in fantastic condition with the Bund markings clear on the caseback. 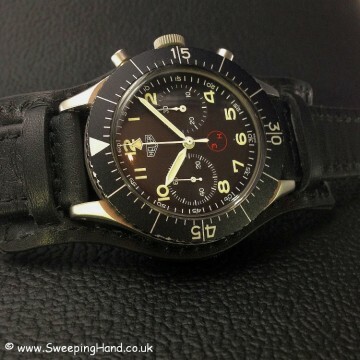 Original bezel is also in excellent condition and the watch works perfectly and all chronograph and flyback hands resetting correctly. 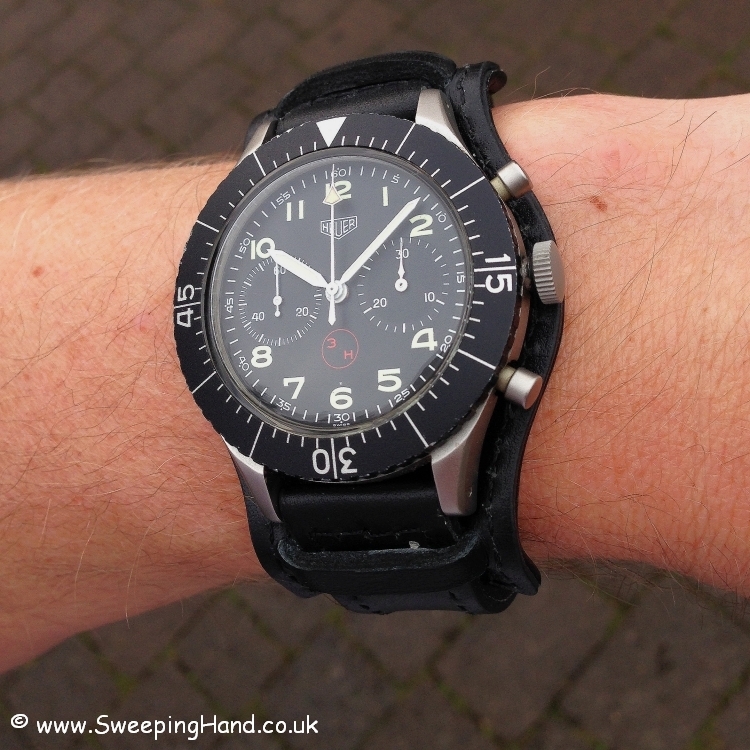 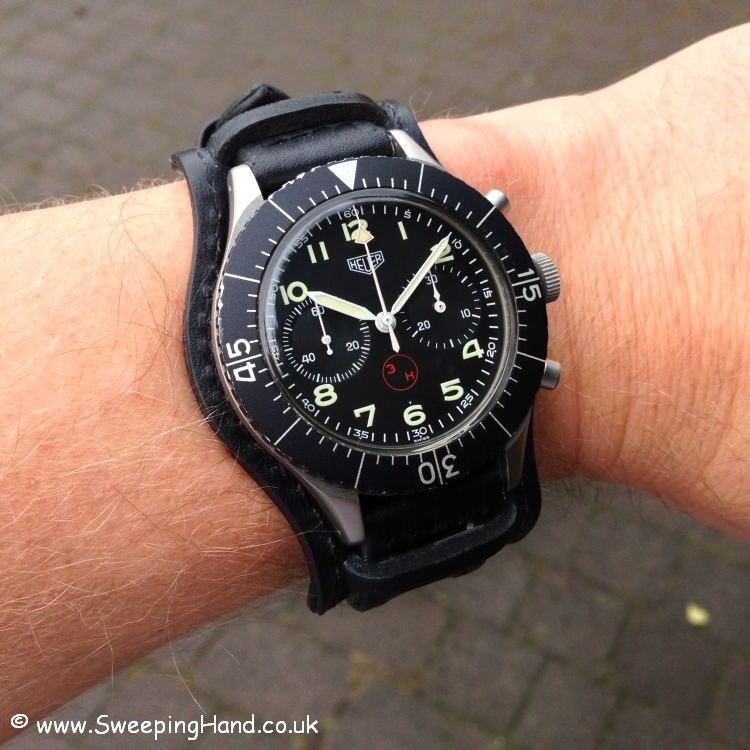 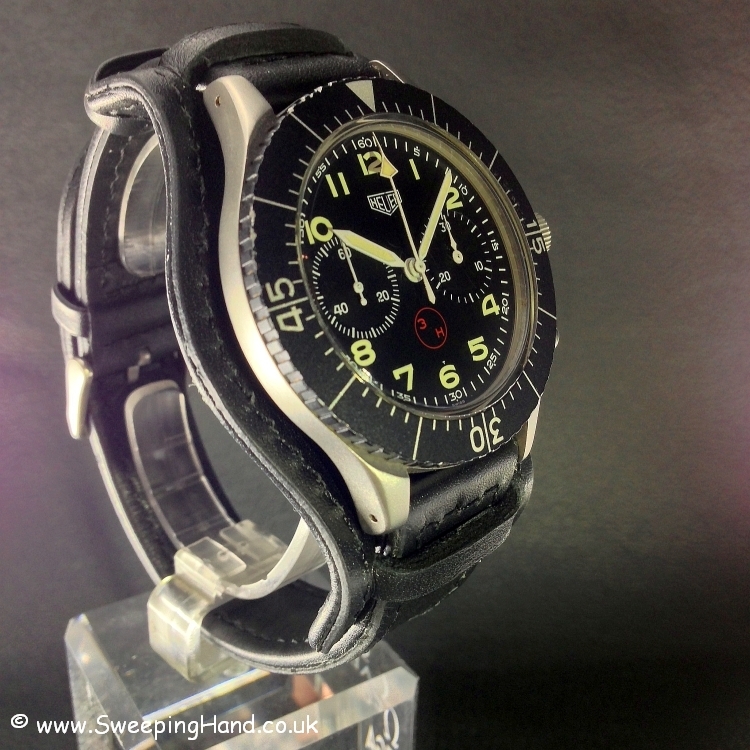 A really lovely watch hard to find in such nice original condition. 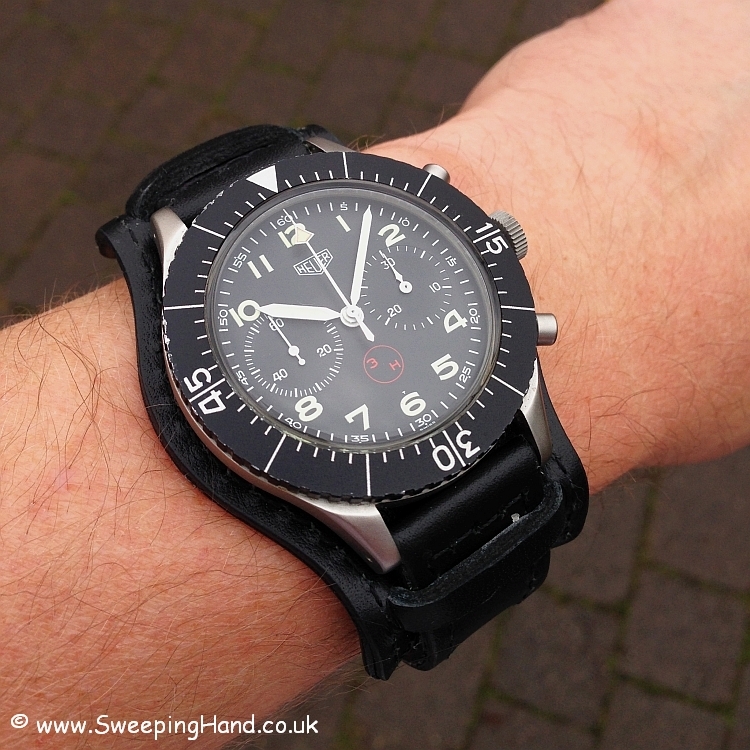 If you are looking to sell your Heuer or for a Heuer buyer in the UK then please get in touch. 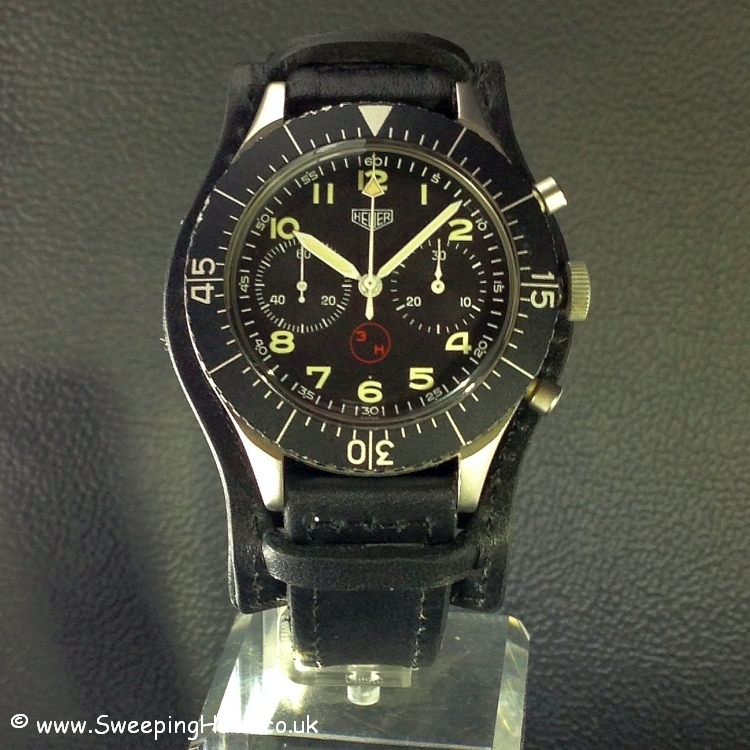 We can help with your Heuer watch value, offer the best price and organise purchase of your Heuer watch quickly and with immediate payment. Many references available from satisfied clients worldwide. PreviousPrevious post:1974 Omega Speedmaster 145.022 – Full Collector SetNextNext post:Superb Rolex Air King – still under Rolex International Warranty!